Catalina Shadows Subdivision is in Oro Valley, AZ. The Town of Oro Valley is 20 minutes north of Tucson.Catalina Shadows Subdivision homeowners are close to dining, shopping, and entertainment. Catalina Shadows subdivision homes are only a few minutes from the new Oro Valley Marketplace and the Northwest Hospital in Oro Valley. Most of the Catalina Shadows homes for sale have contemporary styling. However, you can find Catalina Shadow subdivision homes present traditional southwestern architecture, but they are in short supply. As with other homes in Oro Valley, the Catalina Shadows subdivision is built in the rolling foothills of the Tortolita Mountains. 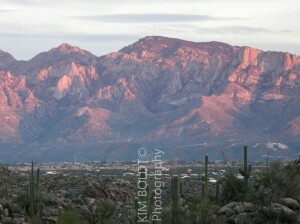 That creates terrific views of the Catalina Mountains. Catalina Shadows subdivision homes for sale will be in the range of $250,000 to $400,000. Some with “in your face” views of Pusch Ridge may be a bit higher. Families living in Catalina Shadows subdivision are served by the Amphitheater School District facilities of Ironwood Ridge High School, Coronado K-8 and Painted Sky Elementary School. Other nearby subdivisions are Catalina Shadows Estates, Palisades Point and Rancho Vistoso. Catalina Ridge is a larger Oro Valley Subdivision with winding streets and some great views. Catalina Ridge homes are close to the heart of everything in the Oro Valley community. If you are considering a home in Catalina Shadows or another area to Oro Valley or Tucson, AZ for your future home, winter retreat or future place to retire, we can help. Searching For A New Home In Tucson? For us, you are not another real estate transaction. You are our client and friend. We strive to create a relationship that continues long after you move into your home. Review our profiles. Check out our backgrounds, education, and certifications. We use multiple online marketing channels to showcase your home. We will build a stand-alone website built to show your home. Our marketing program targets key cities in the U. S. based on the season. For luxury listings, our drone service provides video of your home and neighborhood. This video along with professional photos helps the online buyer see and feel being in your home. As a top Realtor team in Tucson, AZ we have worked with 100’s of clients. Read our client testimonials. We look forward to making your home buying or selling a home an enjoyable experience for YOU!